Scottish government policy on flying the Union flag was changed after a conversation with Queen Elizabeth, Alex Salmond has said. The former first minister said he made the change to flying the Lion Rampant on Royal birthdays in 2010 after speaking to the Queen at Balmoral the previous year. 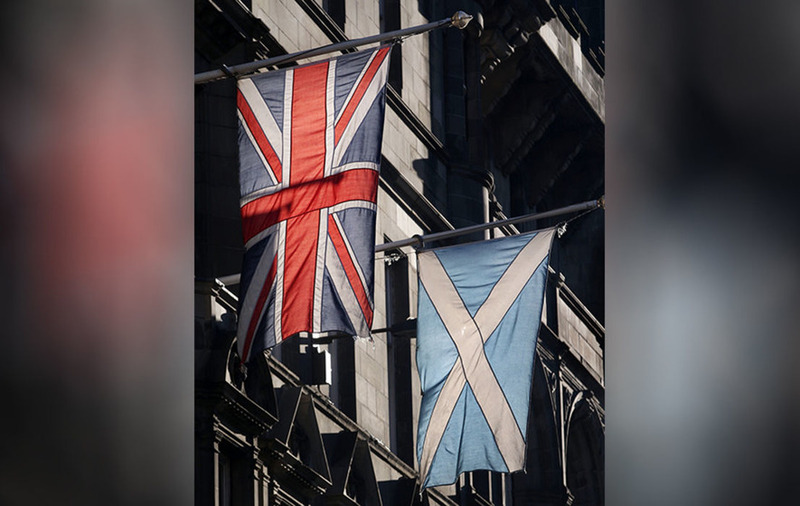 He intervened in the row around claims published Scottish government guidance has been changed for 2018 to fly the Union flag on just one day. Last year's guidance states the Union flag should be flown on several occasions including Royal birthdays and anniversaries while this year's states it should be flown solely on Remembrance Day. 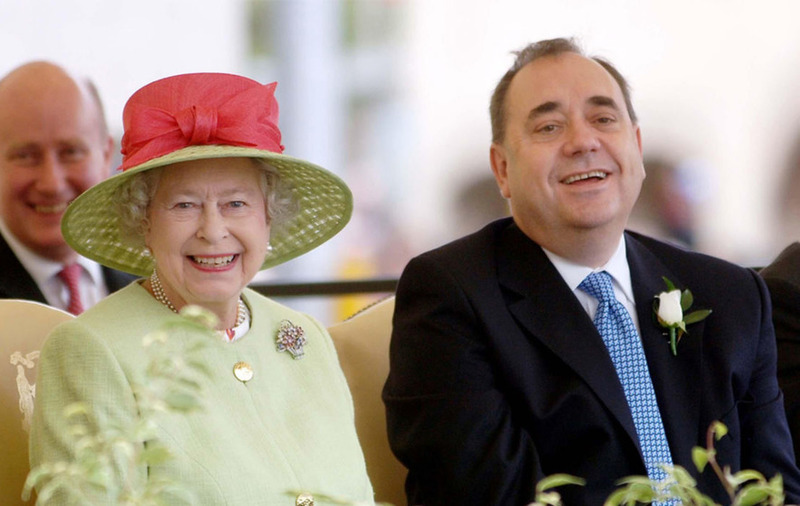 Mr Salmond said in a statement: "I changed the policy on flag flying back in 2010 after an audience with Her Majesty the Queen at Balmoral the previous year. "It seemed obvious to me that the appropriate flag to be flown on the occasion of royal birthdays is the Royal Standard or The Lion Rampant. "The only people who can order that to be done are the queen herself and the first minister as her representative. "I remember the occasion very well. Her Majesty asked me if The Lion Rampant was a popular flag in Scotland. I was able to assure her that it was and indeed much beloved of Scottish football and rugby fans." He said he brought the new policy into effect the following year which left the Union flag flying on Remembrance Sunday and Armed Forces Day and branded press reports the current First Minister Nicola Sturgeon made the change "complete piffle". Ms Sturgeon said the claims she changed the policy are "nonsense" and said guidance has been updated to reflect long-standing practice. She tweeted: "This is nonsense. It has been the practice to fly the Lion Rampant from government buildings on Royal occasions since 2010. There has been no change in policy or practice since then." She then accused Scottish Conservative leader Ruth Davidson of "fake news" for her intervention calling on the the Scottish government to focus on raising standards not "lowering flags". Scottish Conservative MSP Murdo Fraser said: "The First Minister's Trump-style Twitter denial by candlelight last night does nothing to change the facts. "The SNP issued a dictat on January 10 ordering Union Flags to be flown on one day and one day only. He added: "She always stresses her civic nationalism is nothing to do with flags and banners. The events of the last 24 hours prove otherwise." 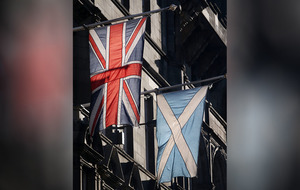 A Scottish government spokeswoman said: "There has been no recent change whatsoever to the policy or practice relating to the flags that are flown from government buildings. "The Royal Banner (Lion Rampant) has been flown on Royal occasions since 2010. "The policy has not been changed under the current first minister - the public guidance has simply been updated by officials in response to queries to match longstanding practice." A spokeswoman for the Royal Household said they do not comment on the queen's private conversations.